Two years ago, Camila Mendes was a lot like most 22-year-old college students you know: studying for finals while trying to nail down a job after graduation. 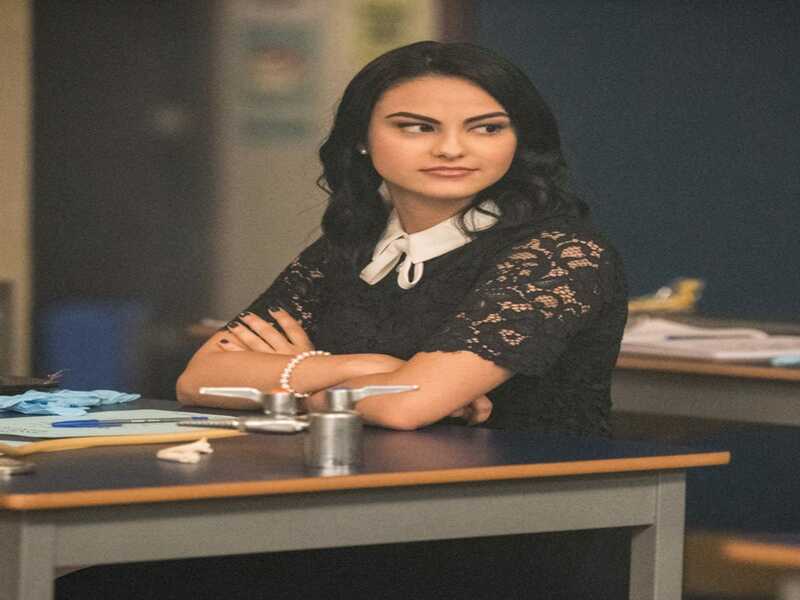 For Mendes, that job turned out to be the career-changing role of Veronica Lodge on Riverdale, the on-screen adaptation of the famous Archie Comics. Just 6 months after turning her tassel on the NYU stage, Mendes was already a household name. Now, with almost 10 million followers on Instagram and Twitter, and the kind of beauty routine that garners a flood of DMs, it only makes sense that the young star would also finally land her first beauty gig as the newest face of John Frieda's "Your Hair Talks, Make a Statement" campaign. 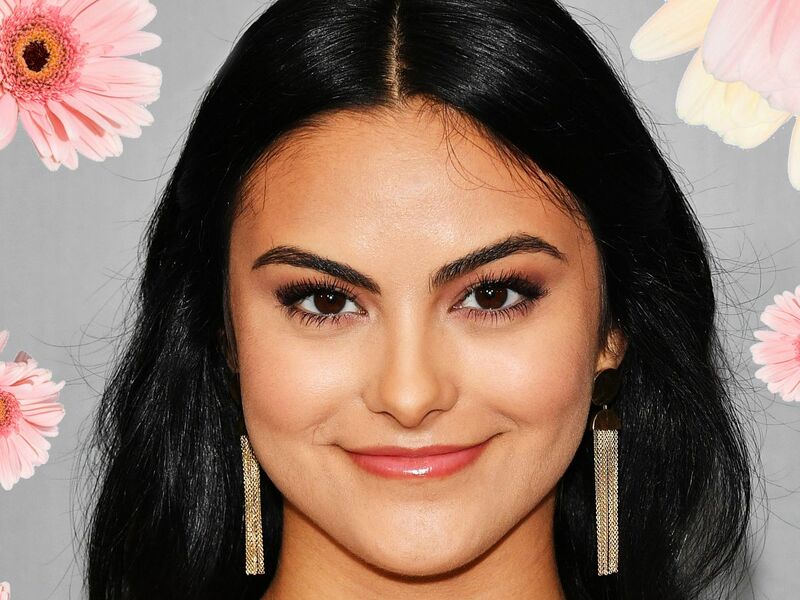 We sat down with Mendes at the launch party in Miami to find out what really goes into playing Veronica Lodge, how she cares for her famous hair, and her biggest beauty regret yet. Do you think Veronica has changed representation for Latinas on screen? "I think the most important thing about Veronica being Latina is that the Lodges are a sophisticated, intelligent, powerful family. You rarely see Latinos associated with those qualities in the media. Usually, it's someone who is underprivileged or uneducated. Obviously there are different walks of life, but you need to show that range [on screen] to give justice to a community and represent them accurately. Latinas are known for being passionate and fierce energy, and I think Veronica has all those qualities. It makes sense for her to be Latina." Latinas are known for being passionate and fierce energy, and I think Veronica has all those qualities. You had to dye your light brown hair for the role — has that changed your routine?
" My aesthetic was a little more bohemian [before the show]... this black hair is the opposite of that. There is something bold about it that makes me dress differently to match, or wear a little more makeup, or at least fill in my brows, on days I normally don't." What's the dyeing process like? "I dye my hair once a month. Every time I go into the salon, they add a tinted gloss so it shines blue in the light on camera. I always get a hydration treatment before and after they dye it. Still, I'm dealing with my texture changing a little bit and noticing how processed it feels. Before [ Riverdale], I'd never dyed my hair. I'd gotten an ombré once that turned out to be my biggest regret. Luckily, that wasn't even near my roots, so my hair has always been really naturally frizzy, but never fried." Will you change your hair after Riverdale wraps? "I'm going to do something different with my hair just because I have the freedom to. Maybe some highlights or go back to a brown color. It'll be subtle, but obvious enough of a change that it will brighten up my look. I would even love to try a short haircut, like maybe to the shoulder or even shorter." Have you ever had short hair before?
" They cut my hair really short for season one, so I had to fight to get longer hair. It was just so hard to maintain when I wasn't working because it would flip out at my shoulders. I felt like a '50s housewife, but maybe it was just the cut." What's your hair routine like when you're not on set?
" On off-days, I try to let my hair go natural. I use the John Frieda Frizz Ease Serum. I tend to have dry skin and dry hair, so it's really important to have as much moisture as possible. Anything I can do to get rid of frizz and just make everything polished and smooth is the way to get my look for the day." What's the one question fans always ask you about your beauty routine? "People always ask about my eyebrows. I actually had a unibrow growing up, but now once every four or five months, I go to Anastasia Soare [of Anastasia Beverly Hills] to keep the shape clean." Travel and accommodations were provided to the author by John Frieda for the purpose of writing this story. This article was written by Samantha Sasso from Refinery29 and was legally licensed through the NewsCred publisher network. Please direct all licensing questions to legal@newscred.com.